60th Book Celebration and Giveaway Party! Hi everyone! This is just a quick note to tell you my exciting news! Highland Spring will be released in a little over 2 weeks, and it will be my 60th book! It has been a lot of hard work but a fun and exciting journey getting here. I decided I wanted all of you to help me celebrate, so I’ve planned a facebook party extravaganza that will last from May 13th – May 18th. Click HERE to see the full 6 day agenda. This is the party of all parties, and will include over two dozen guest authors of multiple genres. Some of the authors will be coming to you LIVE, and you’ll be able to interact and ask them questions. Others will be posting games and giveaways the traditional way. Either way, they all have some surprises in store for you. So be sure to stop by to visit with USA Today and Bestselling authors such as Kathryn Le Veque, Suzan Tisdale, Vonda Sinclair, Kathleen Ball and many more. As a special treat, I have actors and cover models, Michael Foster and Sean Hampton coming to the party on LIVE video to talk to you about what it’s like to be a cover model. Period Images photographer VJ Dunraven will also be taking you behind the scenes of a cover model shoot. There will be free books, and prizes each day. I’ll be giving away a terrific gift basket on Mother’s Day with everything you need to pamper yourself, so be sure to stop by. And if you like to cook, my husband and I will be cooking up one of the recipes found in the stories of my Tarnished Saints Series on Mother’s Day – and you are invited to our kitchen to be a part of the experience. I also have a contest you can enter starting now through the rafflecopter on the bottom of this page. I’m giving away a Kindle Fire, a $50 amazon gift card, and one lucky winner will win their choice of every book from one of my series. 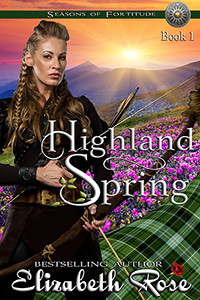 But for now, if you haven’t already preordered your copy of Highland Spring, it is only 99 cents for a limited time. And be sure to read the Legendary Bastards of the Crown Series beforehand. Reckless Highlander is only 99 cents, but the price is changing very soon. 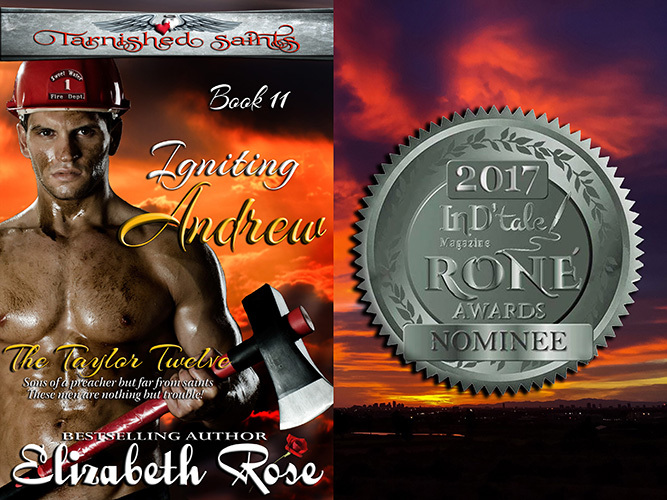 AUDIOBOOK CONTEST: From now until May 14th, I am having a contest where 3 lucky people will win an audiobook of Ruthless Knight. Go HERE to enter. New on the horizon is a multi-author boxed set called Romantic Legends by USA Today and bestselling authors. You’ll find my book, A Viking’s Promise in this set. It is the only place the book is available for now. 99 cents, KU reads free. So go ahead and start entering my 60th book giveaway, and remember to stop by the contest from May 13 – May 18th! 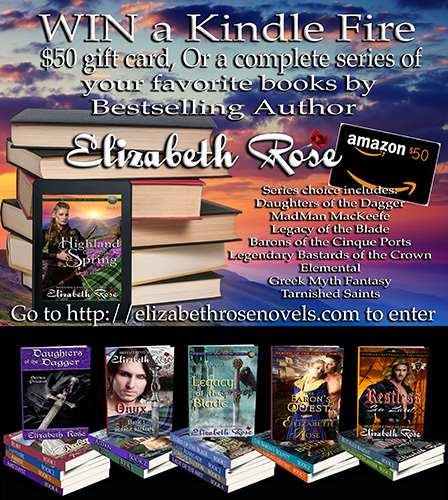 By entering this contest, you are also agreeing to sign up for Elizabeth Rose’s newsletter. (If you are already signed up, it will not be duplicated.) You will only get 1-2 emails a month, but it will ensure you don’t miss out on future books, contests, and giveaways! 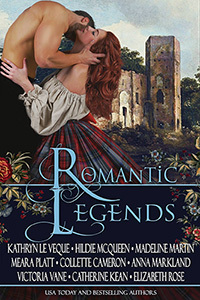 This entry was posted in audiobooks, Boxed sets, Contemporary Romance, contest, guest blogging, Medieval Romance, New release, Pre-order, recipes, romance recipes, Scottish romance, Uncategorized by Lizrosek. Bookmark the permalink. I love series about Scotyish Highlanders.I look forward to reading yours! Congratulations on your success! 60 books published is amazing! How can I just pick one series? It’s a difficult one but I do like the Tarnished Saints the best because for all that they aren’t Saints they clearly have their hearts in the right place. Thanks Rhianona! The Tarnished Saints’ Series is one of my favorites since it is inspired by things in my own life. Haven’t had a chance to read any of your books yet, but Tarnished Saints sounds really interesting to me as well! I love the cover for Highland Spring and I can’t wait to read it. Thanks Deborah. Wait til you see the rest of the covers from the Seasons of Fortitude Series. Legacy of the Blade Series intrigues me the most. Thanks Rita. That was my very first series. Congratulations on your outstanding success! If I had to pick it would be Legendary Bastards of the Crown Series because it introduced me to your work and made me your fan for life. Congratulations! Legacy of the Blade Series would be my choice! Thanks! Thanks for entering my contest, Lisa! I would love to get your Highland Series. That genre intrigues me, because I would have loved to live in that time period. Legendary Bastards of the Crown because it’s hard to top a name like that. Ha ha. Thanks for leaving a comment. DAUGHTERS OF THE DAGGER sounds like a series I could dive right into. Thanks Mary, this was a fun series to write. Legendary Bastards of the Crown, I enjoy reading books set in that time frame. All the books in the series sound and look so good. I haven’t read any yet but the Daughters of the Dagger sound great! Medieval Matriarchs contains DAUGHTERS OF THE DAGGER. I’d love to begin these. MaryEve, yes, check my boxed sets for books from various series. I think Mary, Mary (Quite Contrary) sounds most intriguing to me. I just love the idea of a book based on a twisted nursery rhyme. Emily, I am so glad you said that. This is the start of such a fun series – that I will finish eventually. Little Miss Muffet and Little Boy Blue are next. Greek Myth Fantasy sounds good! I’ve always been interested in the Greek time period where this takes place! Oh I have to say the Tarnished Saints Series! Those bad boys are always so fun to read about! Thanks for the giveaway and the release party, Elizabeth. The series I’d most like to read is the Elementals Series. Oh, I’m supposed to say why. Because I dig offbeat fantasy romance. Highland Springs look awesome. I love the cover. She looks like a strong independent women. I’m new to your books but would love to read them, they seem captivating! Thank you for this great giveaway! I typically read murder mysteries and thrillers, but I also read the works that my friends produce, at least as much as possible. AND those with my FB friends from Period Images on the cover. And you’ve got BOTH!! I would love to read the Romance series.